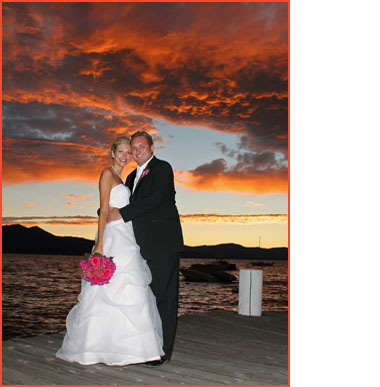 Round Hill Pines is a private Nevada beach equipped with a small, intimate cove, perfect for your wedding day celebration. 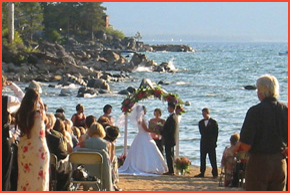 The lagoon-like section of beach is very appealing and provides a great backdrop for ceremony photographs. Chairs for guests are provided, and an arbor is also available for the ceremony. Round Hill Pines Beach and Marina is located about one mile from the state line of California in Nevada on the south shore of Lake Tahoe. Since it is a Nevada site, it will require a Nevada marriage license. This beach location is fitting for small or large groups of up to 100 guests and is appropriate for casual or formal wedding attire.